Anita from WY! Congratulations! Your book and yarn will arrive shortly. We would love to see your finished sunflowers - send some pictures! There are two things that I have been enamored of lately...stripes and mitered squares. So you can only guess how excited I was when I saw this tank from Susan Mills in the new knit.wear. 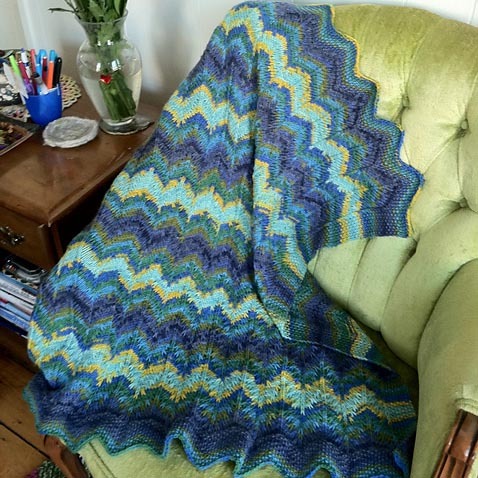 Susan used a new spring yarn, Canyon. It is a sport weight yarn made from pima cotton with a hint of alpaca, which makes a smooth and silky summer blend. Normally, to get a zigzag look, you would need to do color work or a chevron stitch pattern. 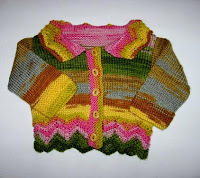 But Susan was very clever and used the combination of mitered squares with stripes to achieve this look. She was also able to construct the garment by picking up and knitting along the edges of some of the squares, which means less finishing (always a good thing!). Tanks are always a great addition to any spring/summer wardrobe. I can envision this one under a jacket, or just as is with jeans or a long skirt. knit.wear is available now as a digital download here and will be on newsstands April 2nd. Photos courtesy of Interweave Press, photographer Joe Hancock. We are so excited about Kristin Nicholas’ new book, 50 Sunflowers to knit, crochet & felt. 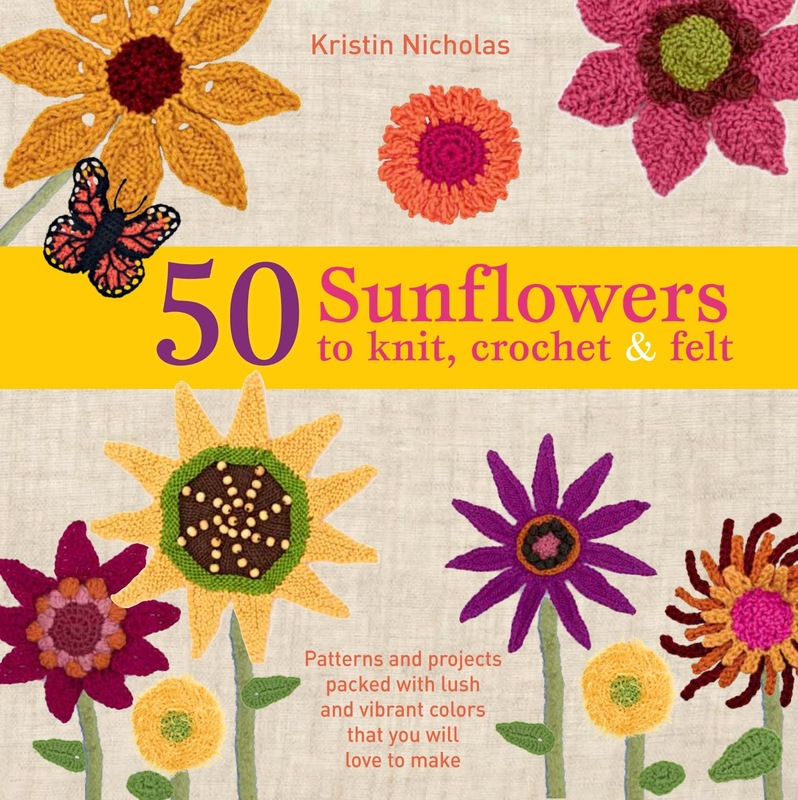 Inspired by her farm in Western Massachusetts, Kristin designed lots of different varieties of sunflowers and even some friendly critters that help tend to the garden. 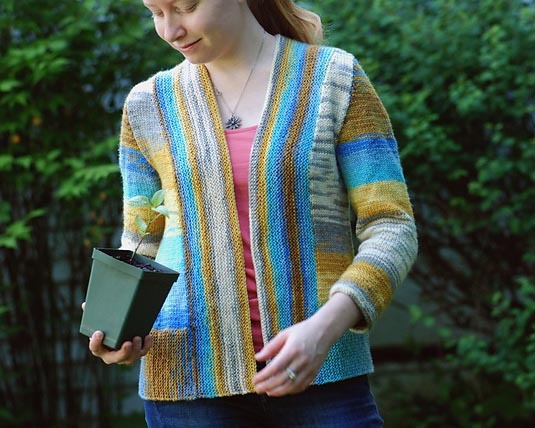 We are also happy to announce that we will be giving away a copy of Kristin's book and three skeins of her yarn. Read the interview below to find out lots of tidbits about Kristin and answer a question at the end to enter the give-away. CEY: How did your new book 50 Sunflowers to knit, crochet & felt come about? Kristin: My family and I have grown a field of sunflowers at our farm for several years. We grow over 15 varieties in all different colors and sizes. From late August to October, the vases in our house are overflowing with gorgeous blooms. 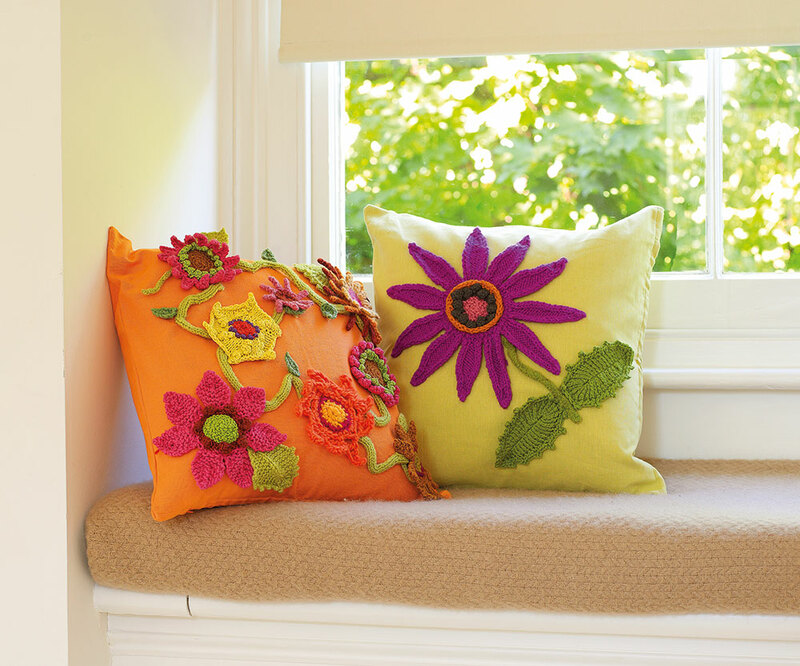 A couple years ago during the dormant growing season, I began designing knitted and crochet flowers and began decorating everything in my house with handmade flowers – pillows, garlands above the windows, potholders, napkin rings, even one of our sheep. 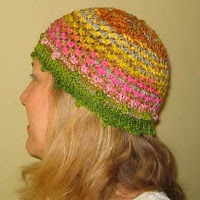 I wrote the patterns up and began selling them on my website. I discovered I loved making little things that could be useful and also make nice presents for friends and family. A longtime friend of mine – BJ Berti – is a Senior Editor at St. Martin’s Press. She knew of my interest in handmade flowers and she asked my literary agent if I would like to write a book about them. Here I am, a year later with a new book out – hoping to turn on knitters and crocheters to making beautiful blossoms to decorate their clothing and their homes with. CEY: Kristin, you are known mostly for your knitwear design. We didn’t realize you knew how to crochet too? Kristin: I actually learned to crochet when I was 9 before I learned to knit! The only problem was I had never written crochet instructions before. I didn’t tell the publisher that! 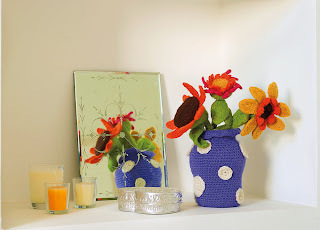 For 50 Sunflowers to knit, crochet & felt, I designed half the projects in crochet and half in knit. It was a challenge but stretched my limits and by the end of the designing process, it was really hard to turn off the crochet hook and move on to the knitted flowers. CEY: This is a really fun collection Kristin. We see there aren’t only flowers but also some garden critters too. What’s that all about? Kristin: When you work in a garden you are never alone. I like that feeling – to have tiny little guys appear to help out – enriching the soil, eating the pests. There are so many pretty bugs, butterflies, moths, and birds that inhabit any garden setting. It was hard to decide which to include. The knitted collection includes a knitted robin, honeybee, wooly bear caterpillar and swallowtail butterfly. For crocheters, I designed a ladybug and a monarch butterfly. 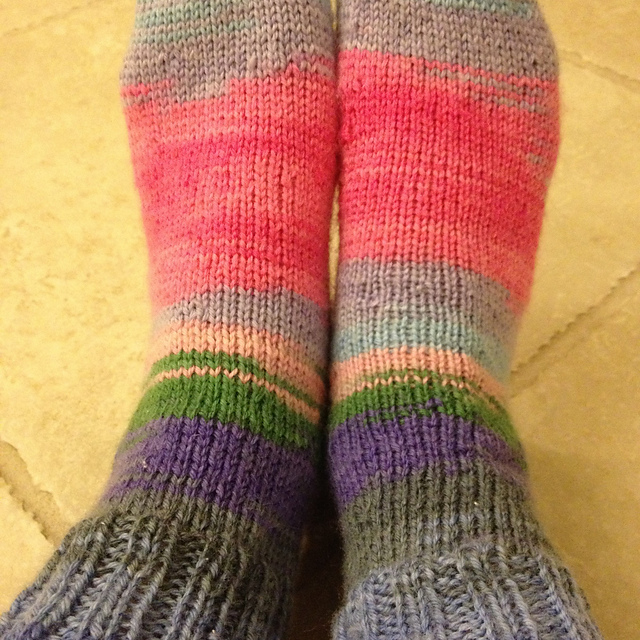 The challenging part of the critters was finding the proper yarn to create the look I was aiming for. CEY: Many of the flowers and critters have a 3-D quality to them. 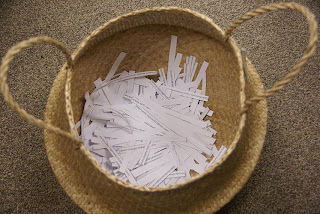 Was that hard to create and did you find any tricks you might want to share? Kristin: All the flowers and critters are little bits of knit or crochet sculpture. To design the different flowers, I actually worked from real sunflowers – examining the folds in the petals, the shapes of the petals, the seed heads. 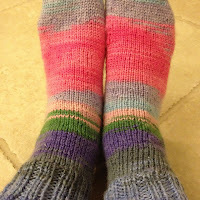 Then I tried to re-create them in yarn and stitches. Some were more successful than others but they were super fun to make. The critters were a different story because real critters are so tiny. 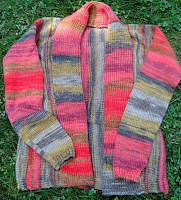 The robin was the most difficult to pull off – it took me 4 days of knitting, ripping, re-knitting, and writing to get the pattern correct! For the critters, I stuffed them with odds and ends of yarn. When I used traditional stuffing, the bright white color showed through. I found this really distracting and I knew it would look good in the photos. 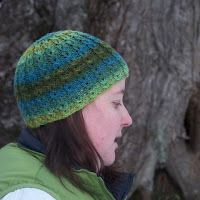 I cut up matching colors of yarn and stuffed the projects with that. CEY: Where does the felting come in? 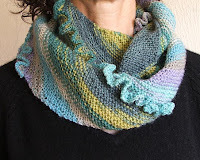 Kristin: Oh – I just love to felt little projects. I find that once you subject wool to heat and water, it becomes gorgeous sculpture. If I had it my way, all the projects would have been felted. The publisher didn’t want too many felted items, so there is only a smattering. Any of the finished projects could be felted. CEY: Is there room for any creativity on the stitcher’s part? Kristin: All of the projects will lead the knitter and crocheter onto their own journey. The way most of the instructions are written, the designs can be modified really easily – made bigger or smaller. And of course, it isn’t necessary to follow a certain color palette. Who says there can’t be a black sunflower? I can’t wait to see what people do on their own with this book. 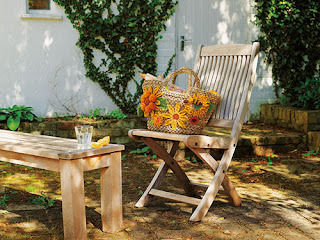 CEY: Besides the flowers, you have also included 15 projects featuring the sunflowers and critters. Kristin: I find that people love to make these little kinds of projects but then they don’t know what to do with them. I give plenty of ideas of where to use the projects. I also originated some special designs like a sunflower pillow, a crochet vase for the sunflowers, a baby rattle and some more fun projects. CEY: Sounds like this book is the ultimate choice for fiber-gifting! Kristin: It sure is. I hope many people will buy it and then spend the summer making their own sunflower garden while sitting on a beautiful seaside beach or next to a pool! CEY: How can our readers purchase the book? 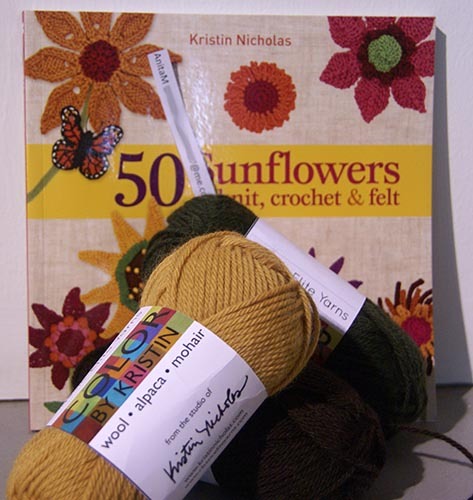 Kristin: 50 Sunflowers to knit, crochet & felt is available in all the regular channels. Readers can also purchase a signed copy directly from me on my website. The book is also available in many other countries. So far, it has been printed in the UK, in Australia and New Zealand and I hear it will be translated into other languages too! My work has never had such reach. Who was to know these little projects would spread throughout the world. To enter the giveaway, send an email with the title 'Kristin' to blog@classiceliteyarns.com by Wednesday, March 27 at 5 PM EST with the answer to this question: How old was Kristin when she learned how to crochet? One winner will be selected at random for the correct answers. 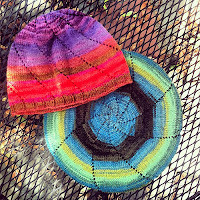 Have you heard about the Polor Pom-Pom Project? 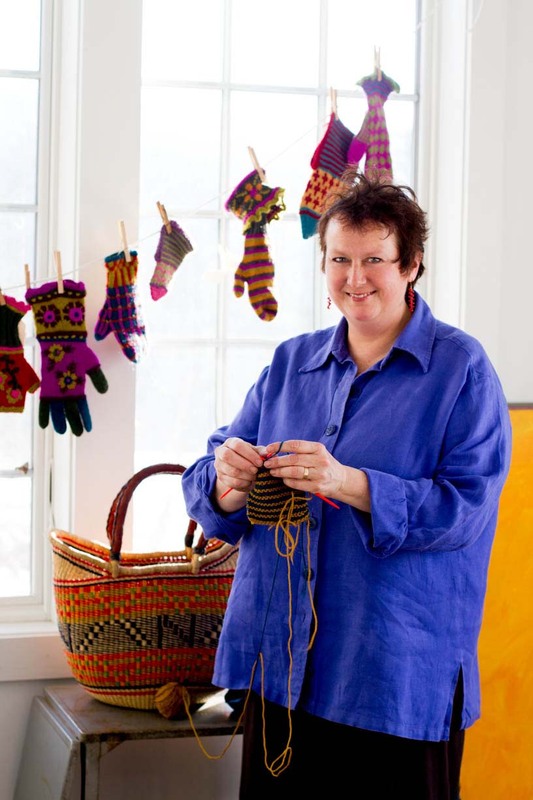 It’s a great art instillation that Deborah Hamon is working on using yarn pom-poms from eco-friendly yarns in the Arctic Circle! She will be traveling on a traditionally rigged tall-ship to Svalbard this fall, a mountainous Arctic archipelago just 10 degrees from the North Pole. 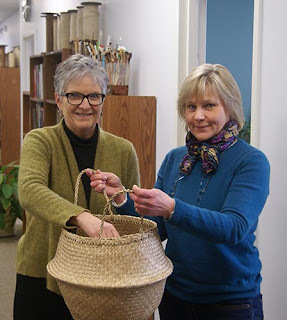 Deborah is working with school children in California and New Jersey to make pom-poms that will be a part of an instillation that addresses climate change. She already has over 700 pom-poms made! Her goal is 2,000. You can read more about Deborah and her journey on her kick-starter page. She is also looking for pom-pom donations. 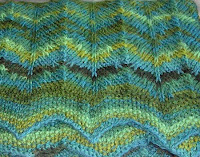 Pom-poms must be made from eco-friendly yarns (our Verde Collection would be perfect) in arctic colors (cream, white, pale blue, aqua, etc.). For more information, please contact Deborah at contact@deborahhamon.com. 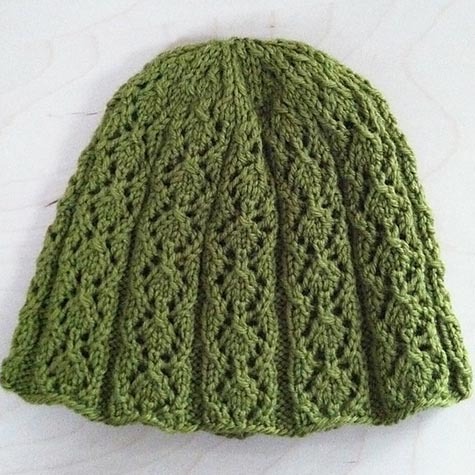 I have been spending a lot of time on Ravelry lately. And I couldn’t help but notice how many lovely projects there are made from Liberty Wool (If you click on the name of the project below each set of pictures, it will take you to the Ravelry page it came from). 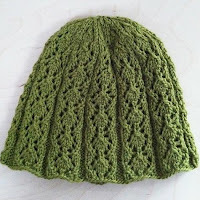 Eyelet Swirl Hats, Flower Bud Hat, Lacey Cap, and It's Not Easy Being Green. And really how could there not be some many wonderful projects? Liberty Wool is a soft, machine washable yarn that comes in solids and in prints (that self-stripe). Want to see more? 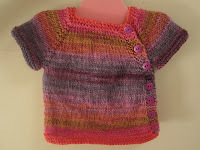 Check out all the FOs on Ravelry here. You can see all the colors of Liberty Wool on our website here. Convertible garments have always intrigued me. I love seeing those hang tags that have illustrations on how to wear a garment more than one way. But more often than not I can never get them to look the way they should (or at least the way they look in the illustration). The Star Lily top from the Canyon booklet has three ways to wear it (that we know of). We put together a little video on the different ways to style the garment. 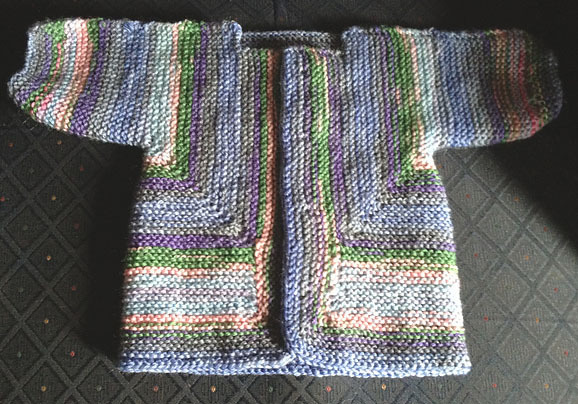 What could be better than knitting one garment, and getting three? Have you knit the Star Lily and found another way of styling it? We would love to see photos! Send them to blog@classiceliteyarns.com. I have mentioned before how I hear the siren call of new knitting magazines. It starts softly as a sweet melody, but it doesn’t take long for it to become louder and louder, until I can’t ignore it any more. The other day, I thought I heard it gently in the background and by lunch time it was as loud as a rock concert in my cubicle. I was also extremely jealous of my colleagues who happened to get to the sole copy of the new Interweave Knits at the lunch table before I did. I (somewhat) patiently waited my turn to see all the yummy new patterns inside. 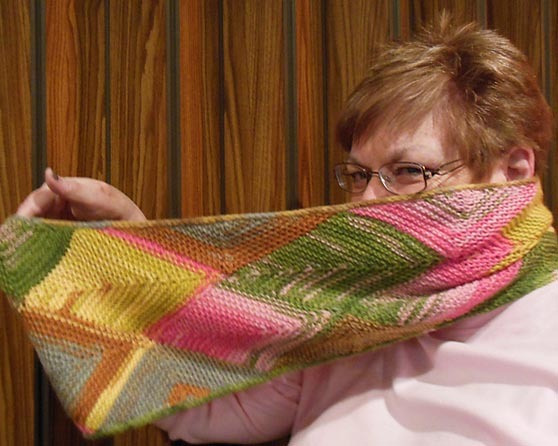 One of my favorites is the Trellis Scarf designed by Bethany Hick made from Firefly. I love the combination of lace and texture stitches that give it a vintage vibe. You can either leave it a scarf or graft the ends together to make a cowl when finished knitting. The optional crocheted flowers give it an extra sense of whimsy. 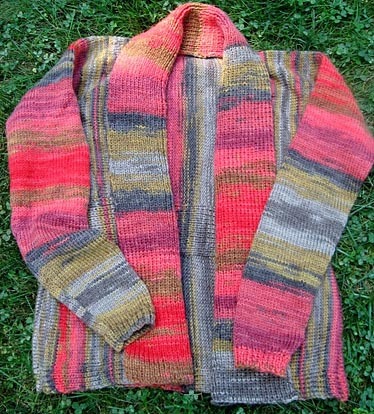 I also really love the Bartόk Tunic designed by Julia Farwell-Clay. She used Majestic Tweed to create a charming split neck pullover with a bird motif on the sleeves. Hummmmm...so much to knit, not enough time. Photos courtesy of Interweave Press, Joe Hancock, photographer.